It seems only fitting that Chelsea should meet their rivals from East London on the first weekend of the upcoming season. In different ways, both clubs are approaching new eras, giving bookmakers much to ponder, and this represents a huge opportunity for gamblers to exploit the uncertainty surrounding this fixture. West Ham have the rare accolade of coming into this fixture as the higher finishing of the two clubs in the previous season – the first such occasion since 1996, to be precise. This damning statistic is a testament, if ever one was needed, to the magnitude of the rebuilding job that Antonio Conte faces in the coming months. Mario Stanic netted a stunner as Chelsea beat West Ham 4-2 at home on the opening day of 2000-01. A repeat scoreline is currently priced around 511/10. For the latest Chelsea odds, visit Betfair Betfair Casino. With every element taken into account, three niche betting markets in particular stand out as a potential source of winning wagers. With Slaven Bilic arriving at Stamford Bridge for the new season’s first edition of Monday Night Football, a tough game in front of Sky’s merciless cameras and blistering scrutiny is to be expected. 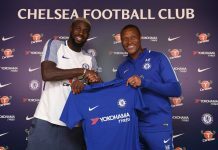 While West Ham may boast superior squad chemistry, Conte’s acquisition of £30m man N’Golo Kante gives the Chelsea midfield at least a fighting chance of disrupting it. With his ability from set pieces, Dimitri Payet immediately figures as the obvious danger man, and it will be a curious encounter between the two Frenchmen. 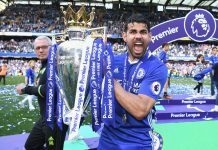 Luckily for Chelsea, Kante marshalled Payet excellently during Leicester’s 2-2 draw with West Ham three months ago, and was subsequently declared man of the match in the BBC’s official report. Stopping Payet gives any team a fighting chance of stopping West Ham, making a Chelsea win to nil a very real possibility. However, with no clean sheet for Chelsea in their last seven league games, odds for such a result are longer than they typically would be. For those Chelsea fans that have yet to be impressed by Conte’s defensive strategies, the Over/Under market could prove highly fruitful. 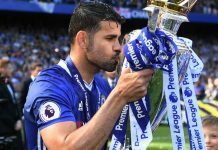 Though the Chelsea defence is expected to have strengthened since the 2-2 draw in March’s corresponding fixture, there is still much work to be done, so a similarly high scoring game is not beyond the realms of possibility. 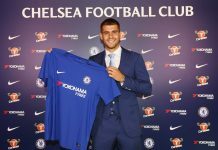 What the Hammers may lack in resources compared to Chelsea, they compensate for with a good sense of unity and a high workrate – two elements which Chelsea lacked badly at times last season. Although this is a niche market which may have limited availability and little appeal overall, it correlates with a recent trend. Specifically, Chelsea have opened the scoring in their last three Premier League games, only to be pegged back by the opposition. West Ham opened the scoring in both encounters last season, and there is nothing at all to suggest that Bilic will change his attacking principles, even if there is a promising new manager in the Chelsea dugout. 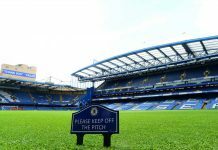 Before Chelsea can begin to regain the club’s lost pride, the habit of scoring first and then conceding must be shaken off, but this could take several weeks as the players adjust to a new regime.